Whether you live near the iconic Kings Theatre or right off of Flatbush Avenue, Good Guys Contracting is available to help the residents of Flatbush-Ditmas Park, Brooklyn with their James Hardie Siding Remodeling needs. 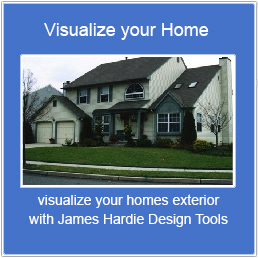 Located on Long Island, we have been a Preferred James Hardie Siding Remodeler with over 20 years of experience in the siding industry. Good Guys Contracting is also the leading James Hardie installer on Long Island and we’re bringing our talents to Kings County. Ditmas Park is known for its historic homes, so it may be time to update the siding to something a little more modern. We offer James Hardie ColorPlus Technology with a wide variety of colors to choose from, you’ll find the one that’s right for your home. Not only is James Hardie Siding appealing to the eye, it’s fire-resistant and highly durable and made to withstand the toughest weather conditions. If you feel that you’re ready to remodel the exterior siding of your home, let Good Guys Contracting be your first choice. We’ll come directly to your place of residence in Flatbush-Ditmas Park, Brooklyn and give you a FREE estimate to get you started on your journey to a newly remodeled home. For more information on how to get a free quote, just fill out our contact form or give us a call at our Brooklyn location at (718) 285-0285. Click here to return to our other Brooklyn service areas!